The Americas were home to some of the world’s most complex and established civilizations in the world at the time of European contact. As many as 100 million people may have lived in the Americas in 1491, far more than Europe. In the next century, an estimated 80 million of them died, largely because of diseases humans didn’t understand yet. Though those estimates are still actively contested, a growing number of anthropologists, archaeologists and historians defend the concept that perhaps as many as one in five people on the planet died. It would have been the largest epidemic in human history. That massive change in understanding pre-Columbian was chronicled in the celebrated 2006 book 1491, by Charles C. Mann, who had written on the issue for the Atlantic. It made a stir then, and I finally got to picking through it, regularly reading news articles on the topic. I shared my notes below. The Geek’s Guide to Dating is a new cheeky, self-help style instructional book for finding the right person from my friend and frequent collaborator Eric Smith. Read my review of the book here. The classic, National Book Award-winning 1977 historical narrative by David McCullough on the Panama Canal’s construction called the Path Between the Seas was perfect reading material leading into, during and after my 10-day trip to the Central American country. In large scale projects, preparing to do the work is often more important than doing the work. That was likely the biggest lesson I drew from the book, which chronicled a failed attempt by a consortium of French government and business leaders to build a sea-level canal and then a painful but ultimately successful American attempt that used locks and came at the heels of advancements in understanding how to deal with yellow fever. I also drastically underestimated the magnitude the Panama Canal represented as an engineering and public health campaign. My previous ignorance to this period of human history is embarrassing. As I often do when I read a book of relevance to leadership and history, I share my notes here. The groundwork of privacy, anonymity and free speech is being set now with evolving jurisprudence and legislation surrounding the concept of social networking. 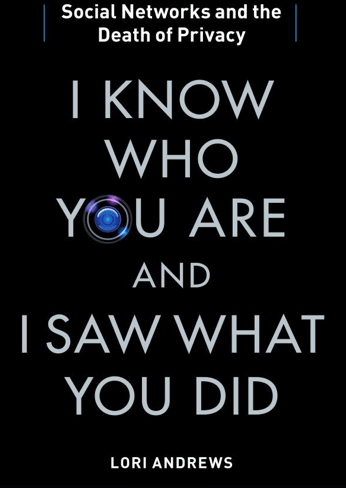 That is the overarching theme, as I read it, in I Know Who You Are and I Saw What You Did: Social Networks and the Death of Privacy, a new book from Lori Andrews, law professor at the Illinois Institute of Technology. Ahead of moderating a panel at the National Constitution Center in Philadelphia featuring the author and two other esteemed panelists, I read an advanced copy of book. Details of Thursday night’s event here. It’s a book worth reading, dense with stories and examples of the gray line of privacy and the constitutionality of the social web. Below, I share some of my favorites bits. 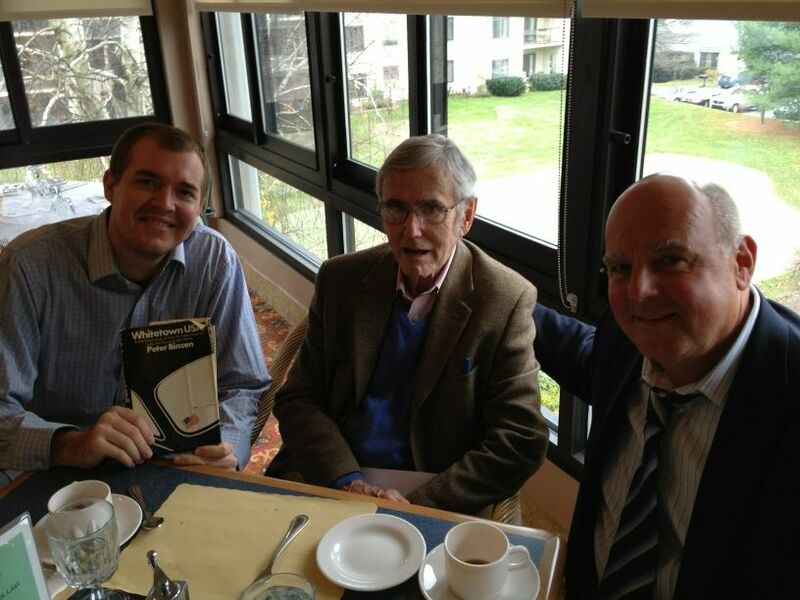 Sitting with Whitetown USA author Peter Binzen and PlanPhilly Editor Matt Golas. Written by a former Philadelphia Bulletin newspaper reporter with whom I was thrilled to have lunch last month, the book attacks the principle that whites are a monolithic group of privilege. Binzen, a former education reported, focuses heavily on the school system in the book to tell a tale of why working class and even upwardly mobile middle class whites were opposed to affirmative action and other social welfare programs perceived to help blacks. The first third of the book features the similarities of Whitetowns from cities across the country: white neighborhoods often with many recent immigrants that are working class, prideful of place, protective, provincial, conservative and often seen as bigoted. The rest dives deepest into Kensington, a decaying industrial corridor then and a decayed shell today, and its adjacent Fishtown, a smaller, more residential neighborhood where I now live. The Golden Ratio by Mario Livio: were mathematics invented or discovered? 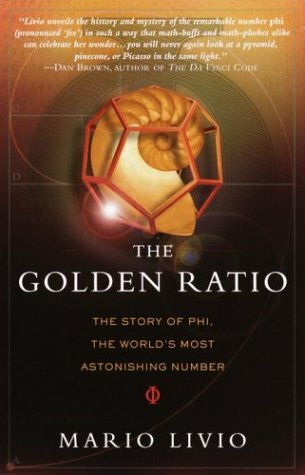 The Golden Ratio, the 2003 historical analysis of the irrational number phi (~1.62) by Mario Livio, reads more like a top level review of a few thousand years of mathematical history. And so, while I enjoyed the pursuit of phi in art throughout time, I was much more taken by the top-level review of the development of math. The development, or, well, the discovery of math. Continue reading The Golden Ratio by Mario Livio: were mathematics invented or discovered? The basic philosophy of one of those early web pioneers, Gary Vaynerchuk, was the subject of his buzzy, well-selling book ‘Crush It’ back in 2009. I’ve only gotten to it now that the second in his famed 10-book deal is coming out. The book does two very basic things: (1) outlines Gary’s general philosophy that the Internet offers an opportunity for anyone to make money off her passion and (2) gives very simple, early steps for doing so. First, of course, I agree with much of his perspective and love his attitude, though, in building a business around news that now supports three people full-time, I read his chapter on journalism business with some degree of skepticism. In being supportive, Gary may be offering some false hope — By looking at the two objectives this book hits (his passion and very basic steps to start following the same path) I’d picture his audience are those somewhat new to the web. His spirit — which is a noble one — is about persistence, but I don’t believe hard work wins out all the time. Businesses succeed with hard work, passion, and skill, of course, but personality, luck and timing play a big part, too, I believe, and I think Gary’s success has quite a bit to do with personality, luck and timing. I wonder how much of the audience building some of his readers have are, indeed, his other readers and how much is real business momentum. Gary’s impact is for big brands first, but his book is sold to little brands — Part of that is marketing from Harper Collins, of course, but I’m always a little skeptical of the ‘you can do anything you put your mind to’ mantra, as there are real audience building challenges some small brands and individuals will have, as noted above. 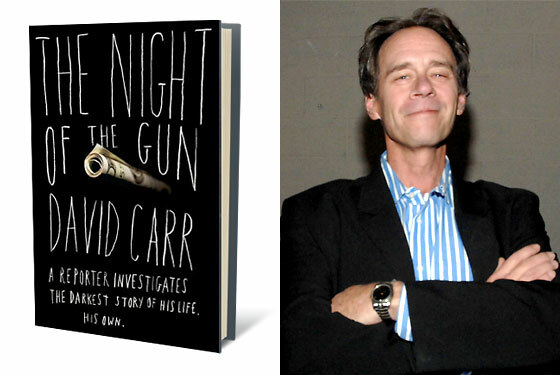 Three great lessons were central David Carr’s memoir the Night of the Gun, published in 2008, which I only recently read. Carr differentiated his story from other self-described ‘junkie memoirs’ by taking two years to rigorously report on his own life, interviewing those closest and uncovering the records that might corroborate. Our pasts are more fungible than we would ever imagine — Surely heightened by an ugly past of addiction and violence, the New York Times columnist had created a very different memory than what, it turned out actually happened. By reporting his own life, he found, indeed, he was the one that had the gun that night (story shared in video below), in addition to quite a few other stories about violence he said he couldn’t have imagined. Most might not have that kind of extreme, but his reporting his life story does bring up an interesting reality. Addiction is a strenuously complicated obstacle — Having recently shared some lessons on addiction and homelessness from my time with a social services agency, it might seem obvious that I was taken by Carr’s ability to write about addiction with experience and directness. Stories are all about marketing — How you tell your story or another’s has everything to do with perception and direction and angle. As Carr wrote, and others took interest in, his story could either be a tidy tale of a father overcoming drugs and welfare to take custody of his twin girls, or abusive addict escaping his mistakes and misdeeds for the height of professional success. …You might have a very different take on those actually very similar stories. A few favorites pieces shared below. My reading of choice tends to be contemporary Philadelphia non-fiction — its true stories, histories and cultural anthropology. Across nearly all of this writing from the 20th and early 21st century is a very unexpected theme: someone growing up angry and put-on in some forgotten neighborhood and developing a very hateful relationship with their city. Joe Queenan, the Irish Catholic, self-styled Horatio Alger character of northwest neighborhood East Falls, writes the king of these stories, from what I’ve read, in his 2009 childhood biography called Closing Time. The son of an abusive drunk and a withdrawn mother. Queenan writes of chasing dreams that he felt he could never find in Philadelphia. 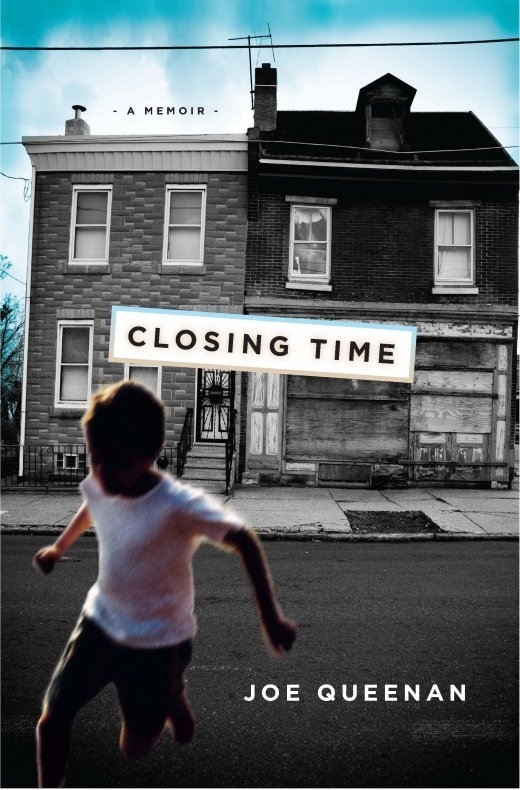 Find ‘Closing Time’ on Google Books. Buy the book at Amazon. He was mostly angry. A lot of contemporary Philadelphia writing is. But Queenan has a quick pen — the likes of which has won him the praise of all the big writing critics we’re supposed to respect. Some of those passages kept me reading, in addition to his perspective (however bitter, though, I suppose, he softens in the closing chapters). I wanted to share some that have the most relevance to those interested in urban development — and strong writing. 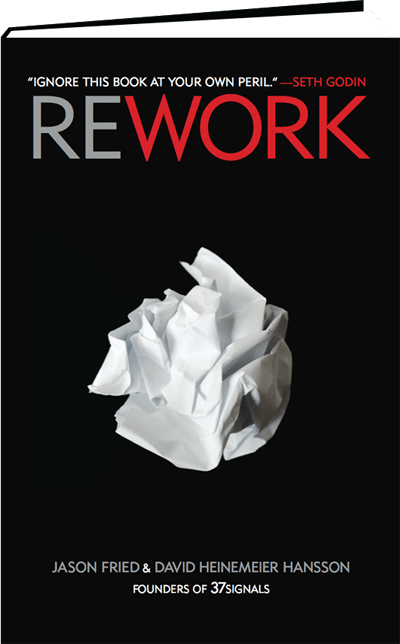 With 100 simple rules they attribute to their success organized in a dozen chapters spread across fewer than 300 short pages, the founders of web firm 37signals aim to affect any organization or business culture with Rework, their management style book that was released in March. It has gotten quite a bit of attention — and high praise from some noteworthy authors — so my reading it comes a bit late, so instead I wanted to share what I most took away from it. Because of its comprehensible and digestible format, I tore through the fast and compelling book. While much of the book was either reinforcing or contained perspective I hope to take away, I thought enough of their rules were valuable enough that sharing my favorites here would be served well. See my favorite items below as just a primer, go pick up the book. I can’t highlight enough that what I share below are but a small percentage of the insight offered in the book and even those I do share are just the skeletons of ideas.